Do you live in Northern Colorado? If you do or are close enough to visit, come join IA Mullin at the Eaton Public Library on Friday January 13, 2017 from 3-5pm. Meet the independent publisher/author, ask questions, and purchase a signed copy of her new book Mystillion. Hope to see you there! Due to some unforeseen occurrences Mystillion is now available for purchase in paperback from Amazon. You no longer have to wait for the official December 20 release date. Order now and receive it before Christmas! If you prefer to purchase through Barnes and Noble, I have good news for you, too. I am working hard to get Mystillion ready for sale on Nook and paperback on BN.com. Check back soon and I will let you know when this new development is official. Hello everyone! I am very excited to tell you that the Mystillion manuscript is finished. It will shortly begin the proofreading phase. Once the proofreading is done it is time for formatting and then publishing! It is getting closer every day! Stay tuned for a peek at the cover as well. It has been a lengthy dry spell of news, but I am pleased to finally get to share this with you. 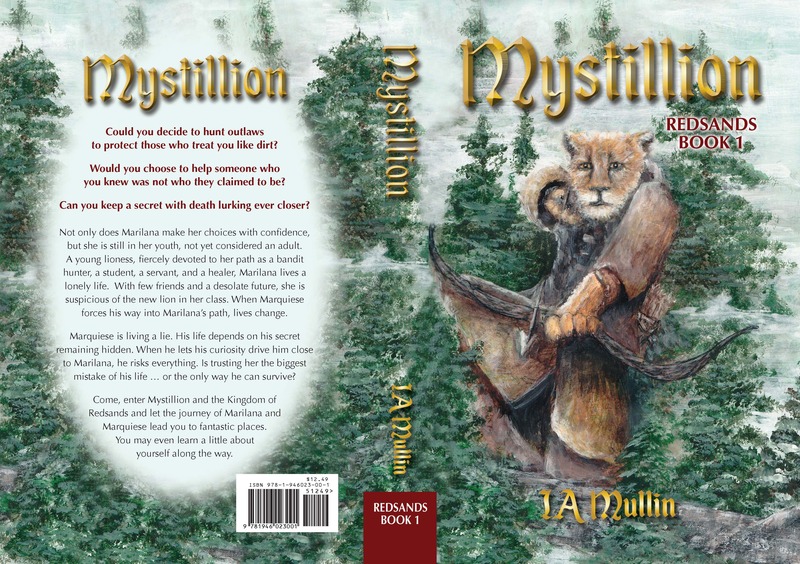 The cover for Mystillion paperback edition is finished! The proofreading is finished! And even the formatting is in its final stages. The best news of all is the goal for release has a firm date. Mystillion is set for release on December 20, 2016. Hurray! Progress on Mystillion has reached an exciting phase. A cover is being created. Beta-Reader responses have come back, and I am entering the next round of editing. Additionally my website is finally up and running. I am sure many changes will be happening in the next few months. Keep checking in for more updates!